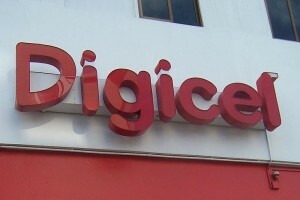 PORT OF SPAIN – Telecommunications company Digicel insists its network is safe, reliable and secure, following a claim that Trinidad and Tobago’s prime minister may have had some of his text messages and emails intercepted. The Sunday Express had reported that Dr Keith Rowley had directed Cabinet members to switch the provider for their work phones to bmobile after police officers disclosed to him that Reshmi Ramnarine, who once headed the country’s highest level security unit, is currently employed as an account manager, business solutions, at Digicel Group (Information Technology and Services). The police had been investigating a report from Rowley that he was being inundated with a series of text messages from a particular cell number. The texter had reportedly asked to meet with Rowley and indicated that they had intercepted and retrieved text messages and e-mails belonging to him. But according to the Trinidad Express, Digicel issued a statement saying “there has never been a substantiated claim of this kind in the history of our company’s operations in the Caribbean and over the past 11 years of our presence in Trinidad and Tobago”. “Since the emergence of such a claim, we have conducted an extensive audit of all operations related to these technical functions and have found absolutely no breach in our security systems,” it added. Digicel sought to assure customers of the integrity of its stringent security systems, which it said are designed to guarantee the highest level of privacy to all users of its mobile network. “This has been secured at high cost and is rigidly maintained through an IT infrastructure that is safe and secure,” it insisted, adding that guaranteeing the safety and security of customer records of all kinds forms the basis of its relationship with its subscribers.